Several options exist when it comes to casting media content from Linux to a Chromecast. You can use Google Chrome (audio is not supported). 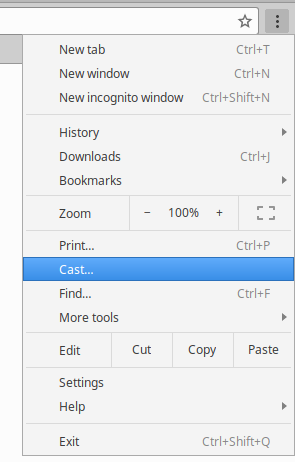 Alternatively, you can use Firefox with fx_cast. Same as above, use Chrome. Make sure you replace the IP with the one allocated to the Chromecast.